Bird Apps, a venture by Bird Group, has launched Odigos, a marketplace app that provides an opportunity to select and book a travel guide on the go to make travel experience more worthwhile. Odigos facilitates a connect between expert tour guides and travellers according to preference of years of experience and languages spoken with a simple tap anytime anywhere. 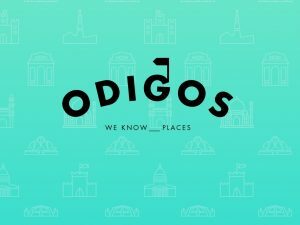 Be it a local who wants to explore the city, or a visitor who wants to discover monuments, historical sites, go for wedding shopping or even enjoy a guided nightlife experience, Odigos ensures a smooth, transparent and hassle free experience. A pre-booked guide saves the hassle of looking for a guide after reaching the spot. Odigos ensures a safe experience for its tourists through diligent checks and screening of each tour guide before taking them on board. “Through Odigos, we ensure that domestic as well as international travellers can make most of their travel time by booking an appropriate guide who provides them with an itinerary, curated, customised and charted out especially as per individual requirements. Most of the Odigos guides are certified by the Ministry of Tourism.” said Dr Ankur Bhatia, Executive Director, Bird Group. For tourists, Odigos provides information such as the profiles of tour guides, their background details, packages and areas of expertise enabling the tourist to make an informed decision. It saves time and eliminates the hassle of negotiation by providing a convenient option of pre-booked guides who can meet at the choice of venue, at a transparent service fee. 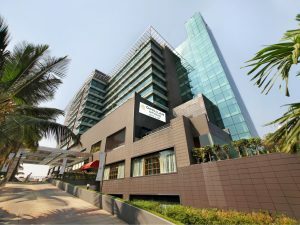 Gokulam Grand Hotel & Spa Bangalore has been accepted as a member of Preferred Hotels & Resorts brand that represents more than 700 hotels, resorts, residences, and unique hotel groups across 85 countries as the newest experience available within the Preferred Hotels & Resorts Lifestyle Collection. Baiju Gopalan, Executive Director, says “As we step into one of India’s most dynamic and competitive hospitality/travel markets, we understand that we need strategic partnerships to leverage international travel markets, distribution systems and loyalty programmes. Preferred Hotels and Resorts was the ideal choice for us to go global.” Akash Gupta, General Manager, says, “We are excited to be in Bangalore to take the erstwhile MSR Hotel and Spa with its existing service and brand standards and market recall to newer heights. The hotel has grown from strength to strength, and with the new management team coming in, a new growth phase for the hotel is being charted out. In keeping with the international brand presence the hotel once enjoyed, we have judiciously decided to partner with Preferred Hotels and Resorts to connect with the overseas market. 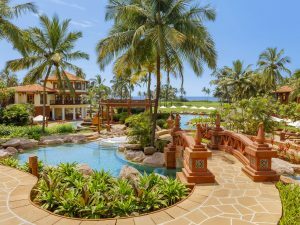 This strategic alliance is the first step for us to initiate and strengthen our brand presence globally, and benefit from the global sales, marketing and distribution network of Preferred Hotels and Resorts.” Gokulam Grand Hotel & Spa has 182 rooms and suites with three F&B outlets, a pool, Sohum Spa and a gym. Sarovar Hotels & Resorts has announced the opening of Sarovar Premiere Jaipur. The upscale full-service hotel features 80 guest rooms and suites with modern interiors, stylish furnishings and spacious event and banquet space. The hotel also adds ease to those travelling to the city as it is conveniently located close to the airport, railway station, Vidhan Sabha and famous tourist attractions. 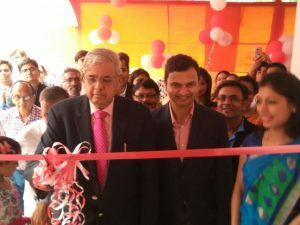 The hotel was launched in the presence of Ajay Bakaya, Managing Director, Sarovar Hotels and Sandeep Sharma, Executive Director, R S Sharma & Co (Delhi), Jaipur. “This new hotel is a fantastic addition to our growing portfolio in Rajasthan,” said Bakaya. “Jaipur is one of the most significant destinations in India for leisure as well as business travel and this is our fourth hotel in the city after Sarovar Portico Jaipur, Nirwana Hometel Jaipur and Park Inn Jaipur. Sarovar Premiere Jaipur’s superior features, state-of-the-art amenities, and incredible location will make it a top destination here. 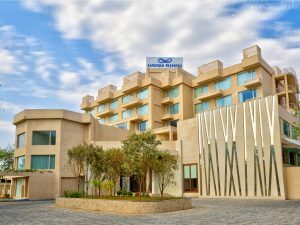 The Sarovar brand continues to expand its presence and we are further opening hotels in Ajmer and Jaisalmer soon” The hotel offers exciting dining options, fitness centre, business centre, free Wi-Fi and swimming pool. The hotel can also serve as a venue for meetings and special events. The 1,800-square-foot meeting space can accommodate up to 200 people. Located at Lal Kothi in Tonk Road, Jaipur, the hotel is ideal for discerning corporate as well as leisure travellers. FCM Travel Solutions has consolidated and rebranded its travel retail and holiday brand – Flight Shop under a single leisure brand ‘Travel Tours’. Known for its range of customised travel offerings, post the consolidation, Travel Tours promises ‘unbeatable’ services both in pricing and quality to its customers across India. Four decades old, Travel Tours will now offer travel services ranging from leisure, corporate travel, MICE, visas, inbound to wholesale and foreign exchange pan India. 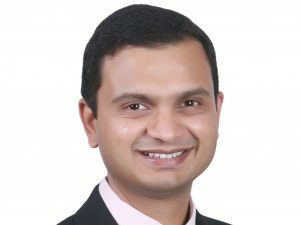 Shravan Gupta, Executive Director – Leisure Businesses, FCM Travel Solutions, said, “Travel Tours has a strong brand equity and heritage in large parts of the country. Through the rebranding, our intention is to put our entire strength and expertise of both our brands – Flight Shop and Travel Tours under one. 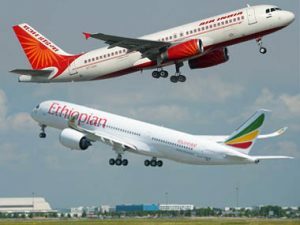 This move supports our journey of going from a flight seller to being an FIT specialist.” He further added, “We are taking a step further from being a regional powerhouse to being a national player of repute as we move forward. The foundation for our rebrand is firmly in place; we are primed and ready to become Travel Tours”. The rebranding of all the 25 Flight Shop and Travel Tours stores spread across 17 cities was completed on January 31, 2018. 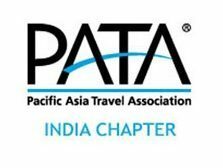 PATA India will be conducting its 6th Update & Outlook Meeting on November 15, 2017 at The Claridges, New Delhi. Tourism Secretary Rashmi Verma will preside over the meeting. 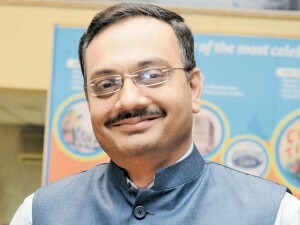 G. K. Chaukiyal, Executive Director, Airport Authority of India, will also give an overview of Regional Connectivity Scheme, near and medium term connectivity plan and how it will support tourism. One of the objectives of this initiative is to take aviation to the hinterland and to the doorstep of the common man. This will contribute towards developing tourism infrastructure and open new vistas for tourism as well.